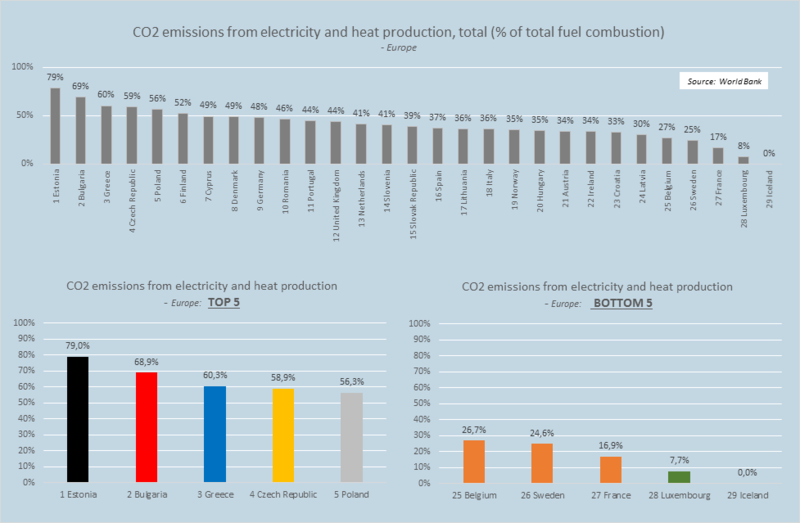 Iceland has the lowest ratio of CO2 emissions from electricity and heat production in Europe, or 0%. In Estonia, which tops the list, the ratio is almost 80%. In many European countries emissions from electricity and heat production exceeds 50%, which will prove a challenge for authorities to lower significantly. All production of electricity and heat in Iceland is from renewable energy sources, such as hydro power and geothermal.